I've had fun in my craft room today playing with the Simply Banner Kit from Stampin' Up! It was so easy to create some beautiful banners. 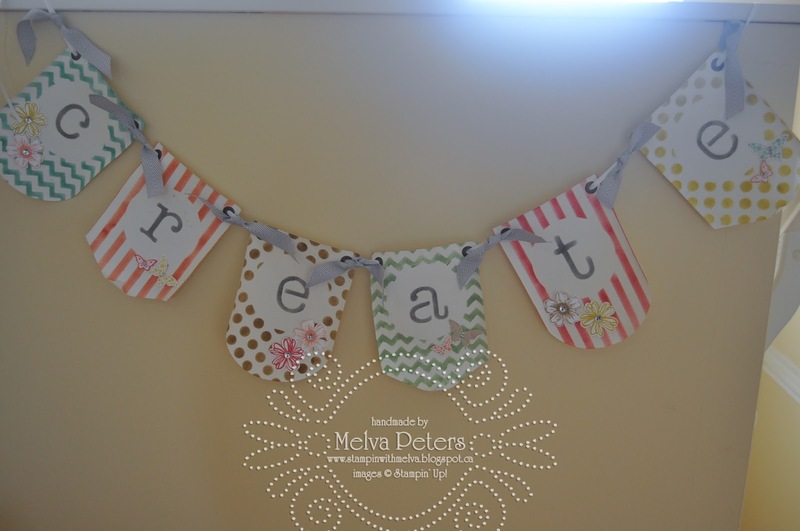 First of all I re-created the "Joy" banner from page 13 of the Stampin' Up! Holiday Catalogue. We'll be making this banner in my class on November 16th. 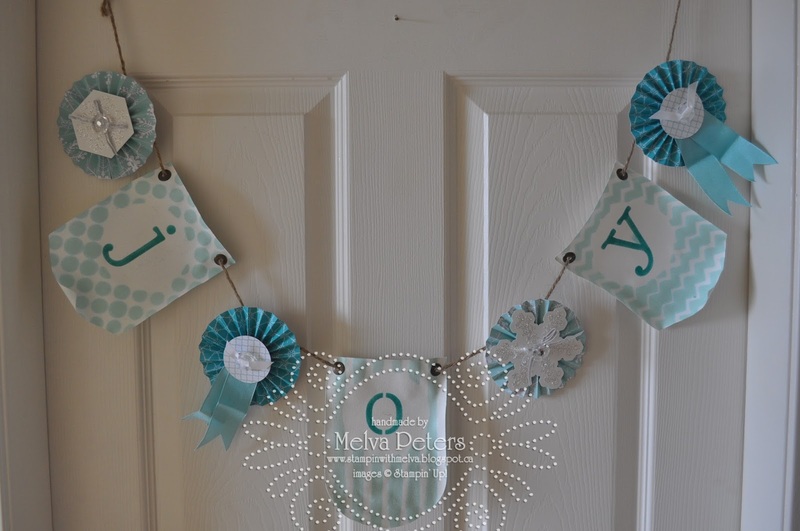 For this banner I added the Christmas Banner Simply Created Accessory Kit to add some bling. So easy. 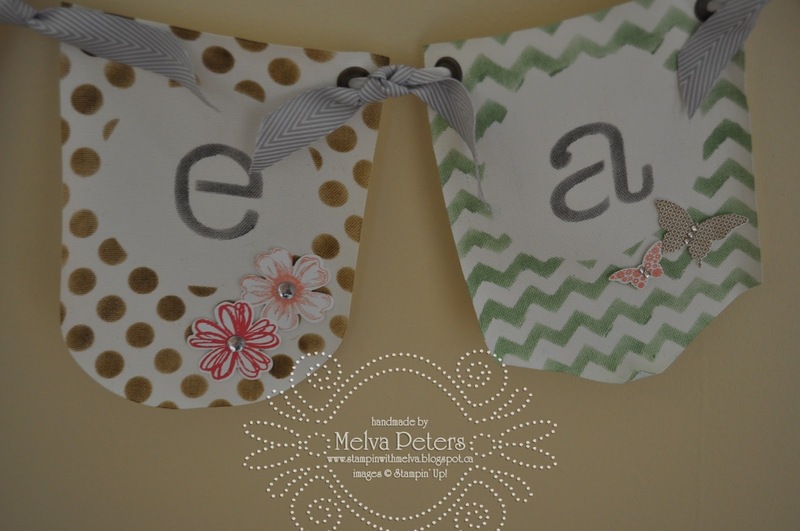 The Banner kit comes with all of the stencils you need including alphabet letters. 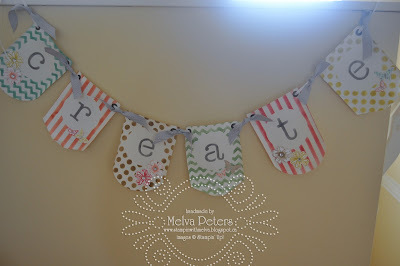 For this banner I used the Stampin' Spritzer and made my own colours with the Re-inkers and Rubbing Alcohol (about 5-10 drops of colour and fill the rest of the spritzer with alcohol). It was a bit messy (I'm sure the colour will come out of my hands in a day or two), so I suggest you use some rubber gloves. Now, on to some of the other projects I made - in less than 3 hours I had 3 banners made! How easy is that. The next one is a simple one - no embellishments except some Smoky Slate Chevron ribbon. I used Pool Party coloured spritzer for this one. This one is for a friend of mine who has just moved back to Vancouver after being away and is renting a place. I thought this might cheer up her place a bit. For my last banner, I decided that my hands were coloured enough so I used ink pads and sponge daubers to apply the colour with the stencils. The colour is a little darker when you do it this way, but I think it might be a little easier. This banner will go in my craft room which I've gradually been organizing with new shelves and ways to store my supplies. The colours I used are all In Colours - all of the new ones from this year as well ans Summer Starfruit. The embellishments on this one are using the Flower Shop stamp set and coordinating punch and the Potpourri Papillion stamp set and coordinating Elegant Butterfly Punch and Bitty Butterfly Punch, a few rhinestones and some Smoky Slate Chevron Ribbon. I stamped using the same colours as the pennants and applied using a dimensional. Here's an upclose look at a couple of the embellishments. 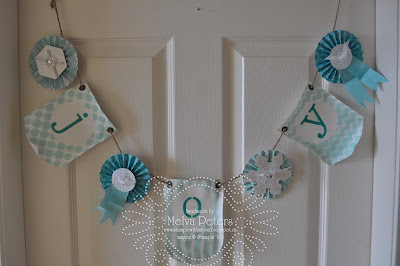 For more information and to register for my "Joy" Banner class, click here. You can order a Simply Created Banner Kit by shopping on my Online Store (don't forget to use U6TW4492 when ordering) or by emailing me. 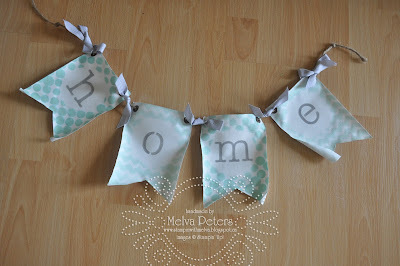 Happy stamping and Banner making! Oh my Goodness, I'm loving it!